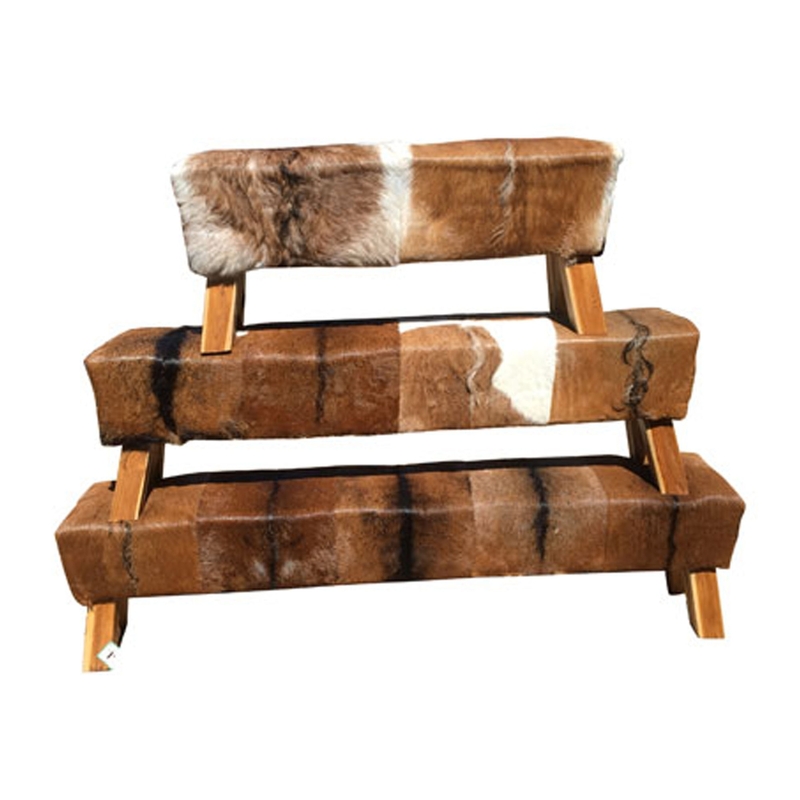 We are very proud to welcome this beautiful Teak Root Pommel Bench with Goat Skin. This bench comes in a variety of sizes, either a small, medium or large to make sure it's a perfect fit for any home. The teak root base is complemented by a goatskin seat that enhances its original and modern design.